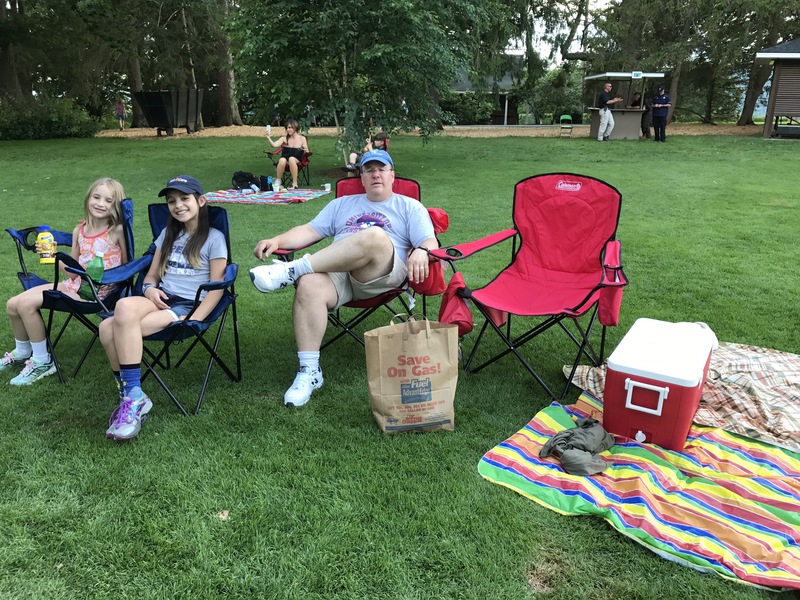 This morning we packed up our stuff at our AirBnB in Conway, Massachusetts and headed out west to Lenox, Massachusetts to see if we could get tickets for tonight’s Natalie Merchant concert at Tanglewood. The drive through the hills was lovely and winding, but after awhile the kids didn’t appreciate it because all of the twisting and turning was making their stomachs do flip-flops. Yesterday I suggested that instead of fighting over music, we pick some podcasts and listen to them as a family. The family agreed on Serial, which only I’d heard before, so we’re now about halfway through the Serial podcast. Even Julianna is reasoning thoughtfully and making arguments about who she thinks is responsible for Hae Lee’s death. If you have podcast suggestions that could keep all four of us engaged, please comment! 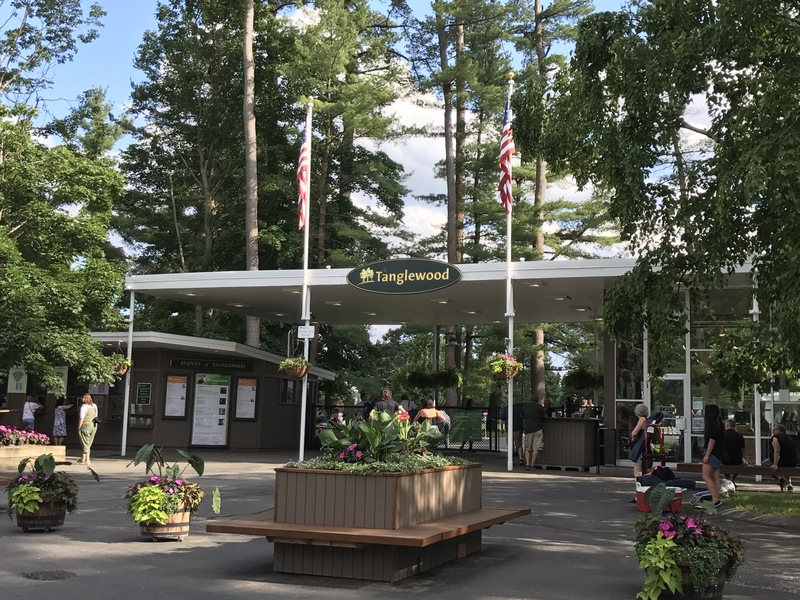 Anyway, around 11:45 we pulled into Tanglewood. None of us have ever been here before. 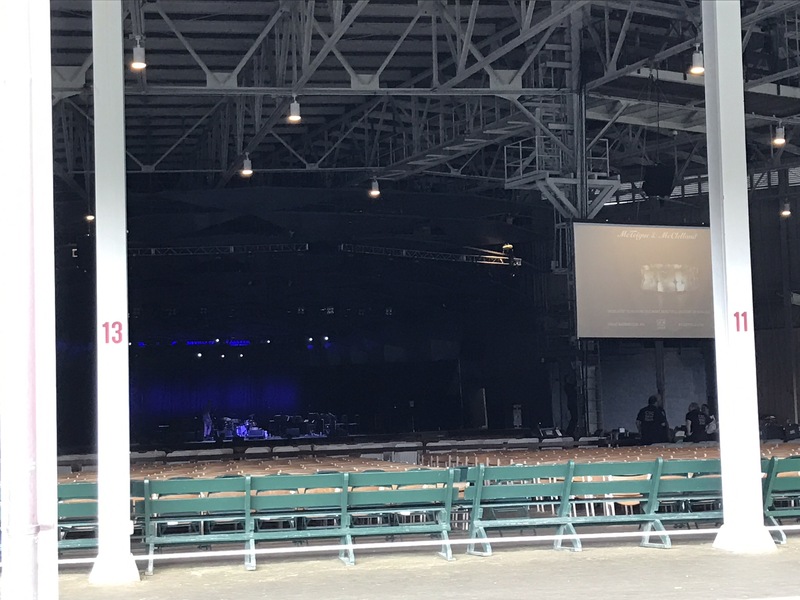 We were able to buy lawn seats for tonight’s concert without a problem. Then we headed into the cute little Berkshires town of Lenox for lunch and to walk around a little. The girls briefly befriended a little dog, and we ate lunch outdoors at a pub’s communal table, which appeared to be built from boards from the tree whose stump formed its base. After lunch we headed about 5 or 6 miles down the road to the Norman Rockwell Museum, which was a real treat. 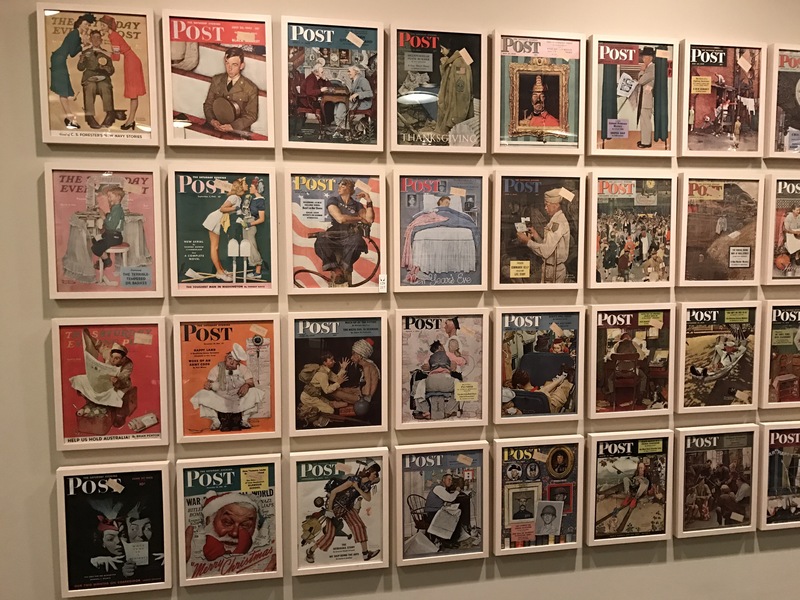 We looked at originals of many of his iconic works, we listened to a gallery lecture about his life and work, and we checked out the downstairs gallery of all of his Saturday Evening Post covers. The girls also drew for awhile in the children’s art room located in the basement. I’ve loved Rockwell since a school unit on him back in second grade or so, and looking at his work as an adult, it’s interesting to look beyond the kitsch to the values he espouses through his Ruby Bridges painting, his Golden Rule mosaic, a gorgeous piece I’d never seen before of a Native American family contemplating the dam that created Lake Powel, and a chilling painting of the murders of civil rights workers Chaney, Goodman, Schwerner in Mississippi. 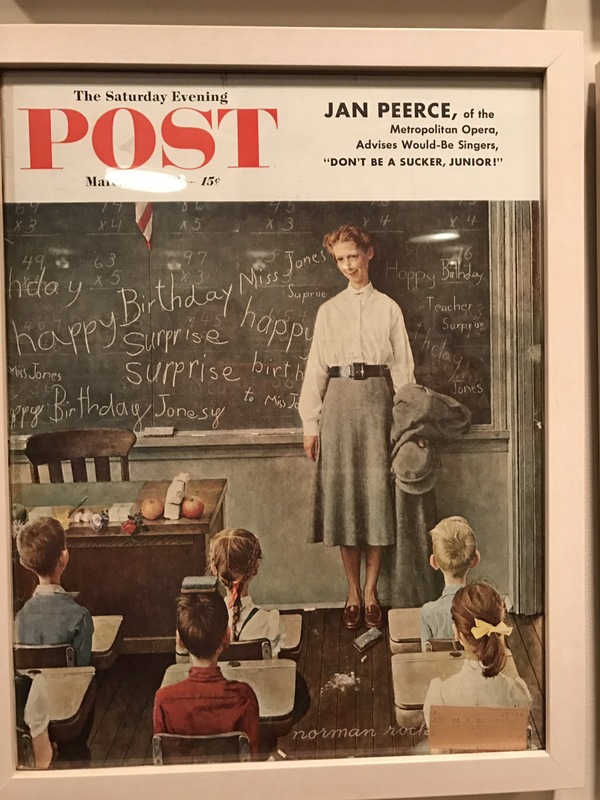 Living in the current era, I found myself thinking of the irony of Trump’s “Make America Great Again” slogan, which in some ways seems to hearken back to the America of Rockwell’s Saturday Evening Post covers, but entirely misses Rockwell’s commitment to documenting and furthering a more inclusive, integrated, and diverse America. I took as many photos as I could (unfortunately a few of the most important paintings, such as the Mississippi murders and Ruby Bridges paintings, were in a Rockwell-Warhol exhibit in which photography was prohibited), and I plan to refer back to them repeatedly as we touch on the end of the Gilded Age, the Roaring 20s, the Great Depression, World War II, the post-war boom, and the way in which Rockwell, despite his support and depiction of the civil rights movement, managed to ignore the social upheaval that characterized the late 1960s. 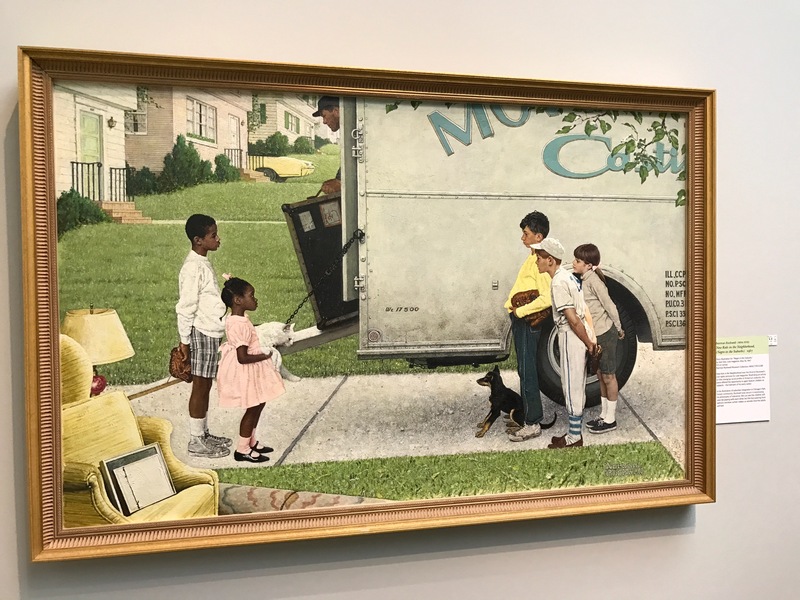 Both the Eric Carle Museum and the Rockwell Museum were also interesting in that both did a good job of portraying the relationship between art-for-hire and an artist’s growing ability to dictate his own terms as his fame and fortune grew. 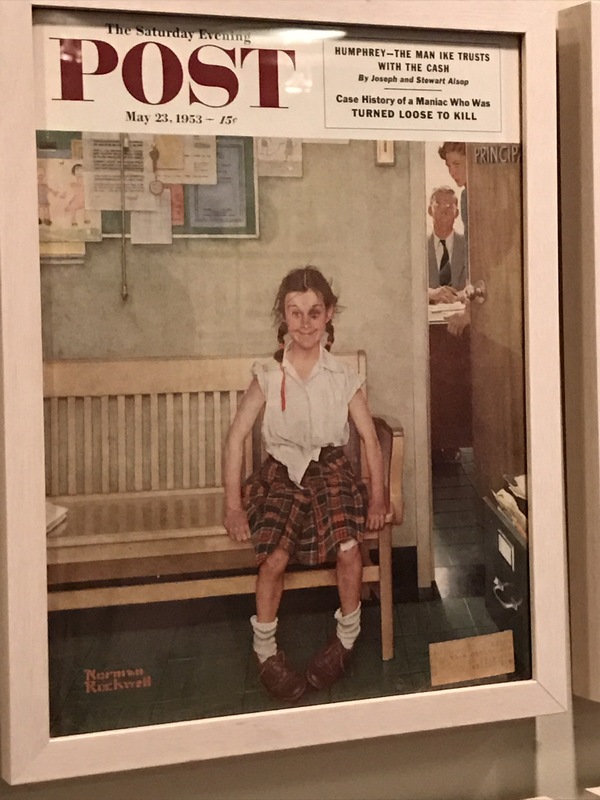 The only negative to the Rockwell museum was that for the first time on the trip, the gallery staff at the museum was psycho about stopping something that they perceived might possibly lead to an infraction of their rules. For instance, I was cautioning Julie to keep her hands back behind the rope and far from the paintings when museum staff decided to come over and interrupt me doing that to chastise both of us (as I was restraining her from pointing — she was no where near the actual painting itself). Later they chastised me for allowing her to sit quietly on the floor for a few moments while I looked at some display cabinets in the Warhol-Rockwell exhibit. The guard expressed her concern that Julie might be trampled (the museum was NOT that busy) if a fire was to break out. Then another patron — probably 15-20 years older than me — started making fun of the guards to me, as they’d apparently been repeatedly chastising him and his wife as well. That made me feel better, but Julie didn’t quite follow the (sarcastic) conversation and so she got upset and cried. I pointed out that with her crying in my arms, we were now a perfect subject for a Rockwell portrait, but sadly my timing was lousy and the humor was lost on her. Poor kid. 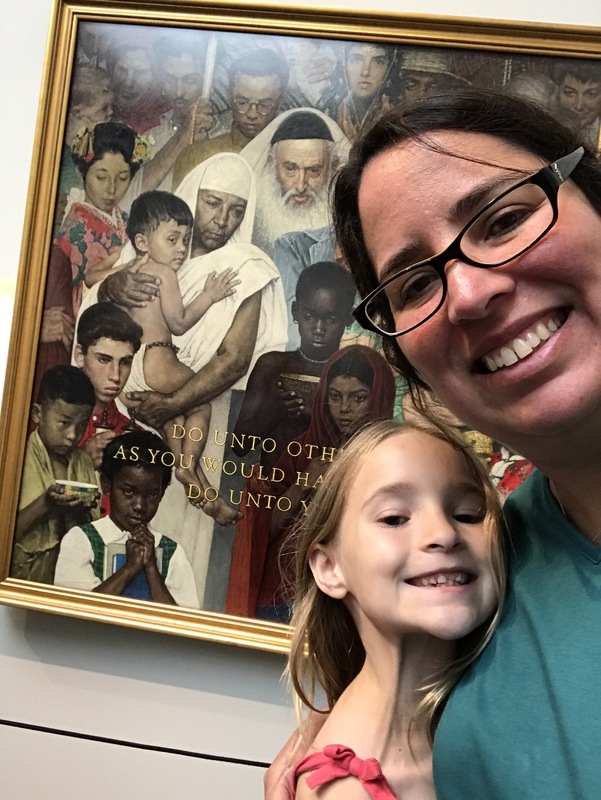 If we’re to build a love of history, museums, and art in our children, our museums and public spaces have to find ways to encourage rather than alienate children whose parents bring them to visit. The good news is that the National Parks Service has consistently, in my experience, done a great job with this through their Junior Ranger program and trusting attitude toward rule enforcement. 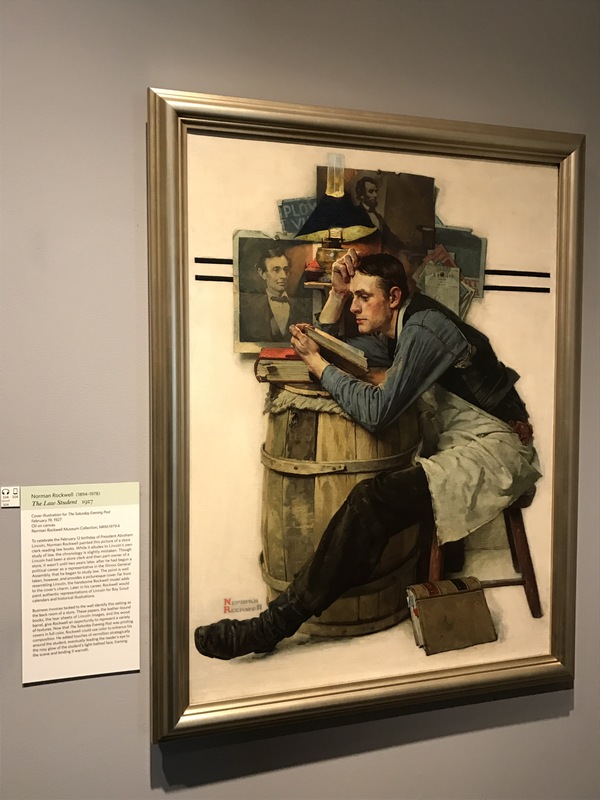 But unfortunately the Rockwell Museum would be well-served to be more thoughtful about balancing rule-enforcement with museum enjoyment, especially for children, and particularly given that Rockwell is probably one of the most accessible artists for children. They did have a kids’ scavenger hunt program, but it was relatively simplistic, and not sufficiently interesting to keep the kids engaged. 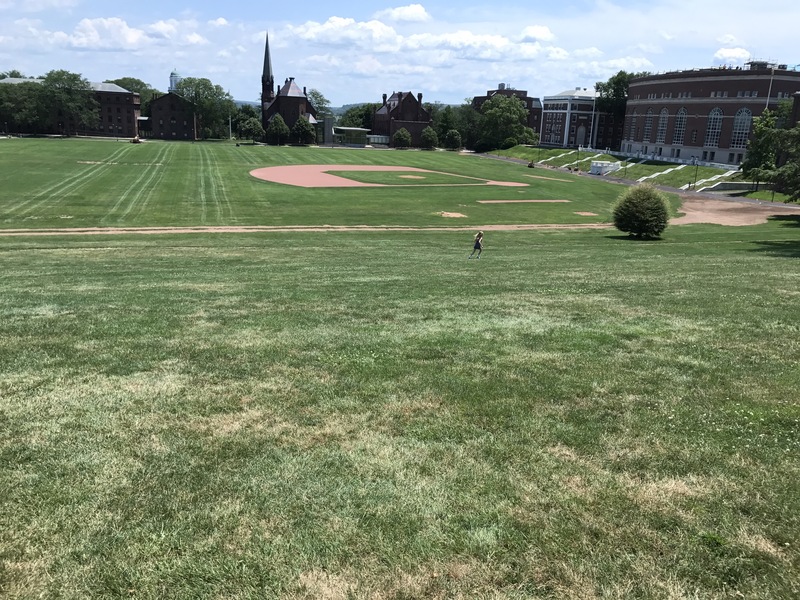 After the show, we headed down to try out an Extended Stay America in Meriden, CT, without spitting distance of my alma mater, Wesleyan University. It was a late night, but it was worth it to be able to catch the show, despite getting soaked in some passing Berkshires rainstorms. Because we were up until after midnight, we took things pretty easy today. 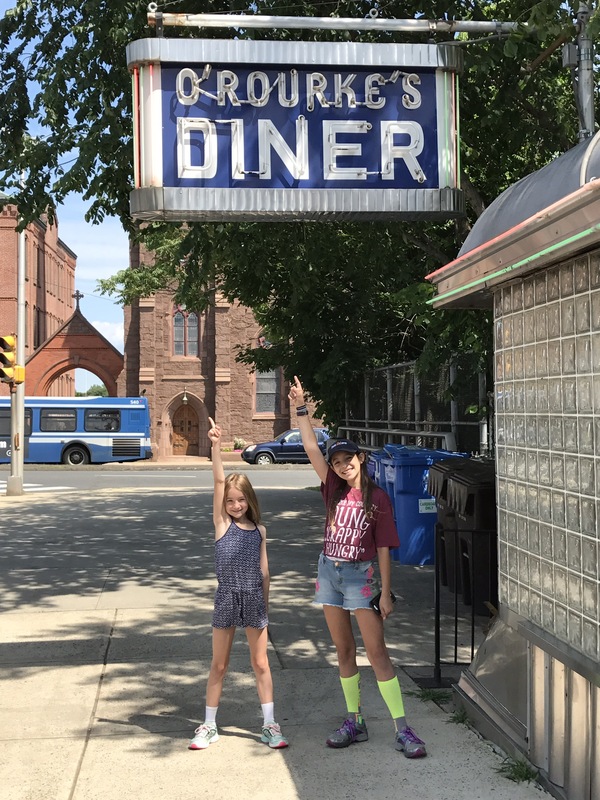 This morning we had breakfast at a legendary Wesleyan diner — O’ Rourke’s — and then spent a relaxing afternoon paddling around in the swimming area at Wadsworth State Park. 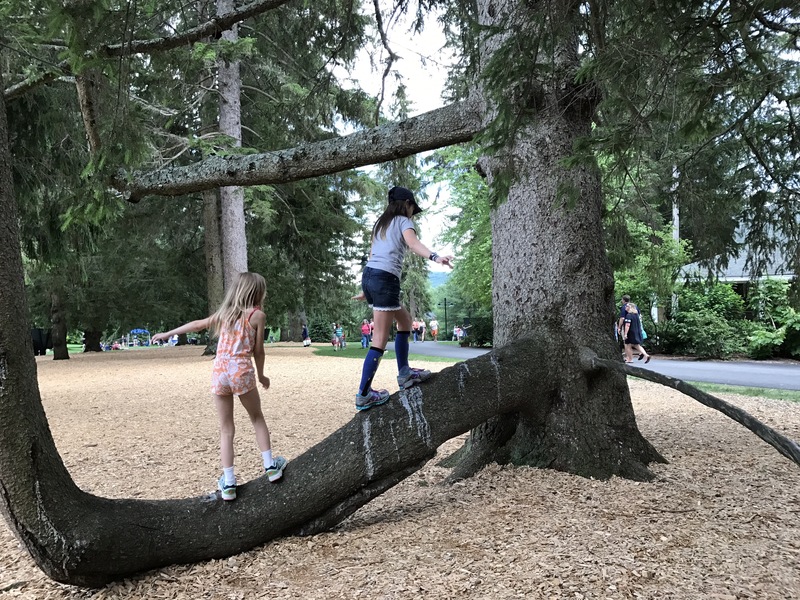 It took the kids a minute to understand how this was possible, as they’d been hearing me go on about the State Parks being closed in New Jersey. 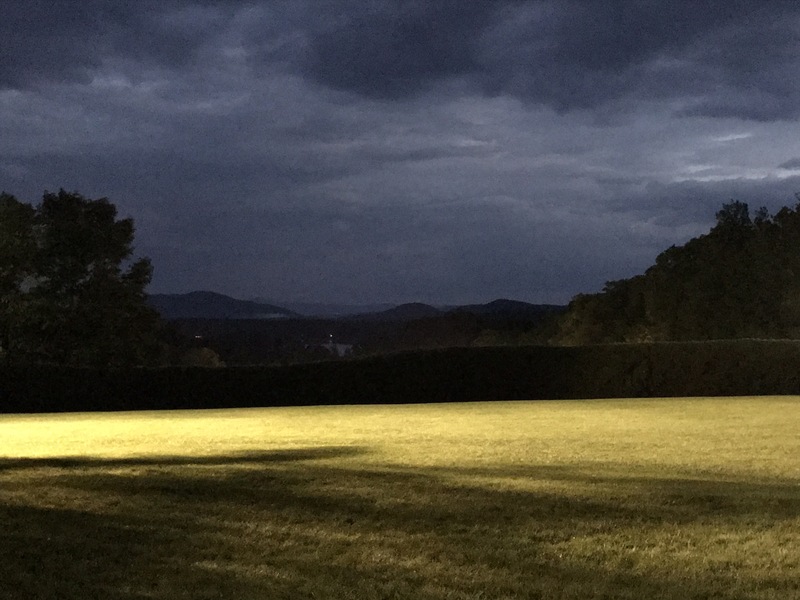 Tomorrow we’re off to celebrate our independence with cousins here in Connecticut. 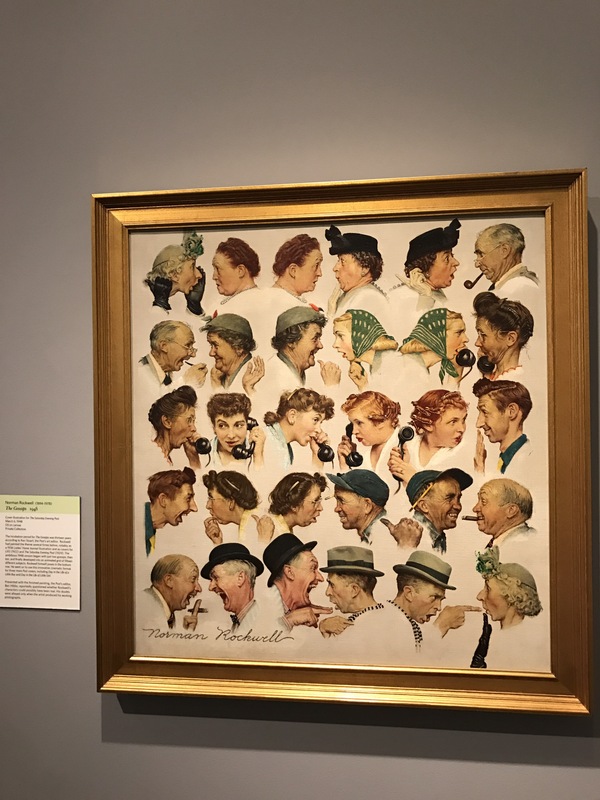 Thanks Sarah, your telling of the Rockwell Museum had me feeling like I was walking with you! What a treat. Since I’m house bound I look forward to your blog. Your families vacation is mine so far, good traveling and I’m with you in spirit. 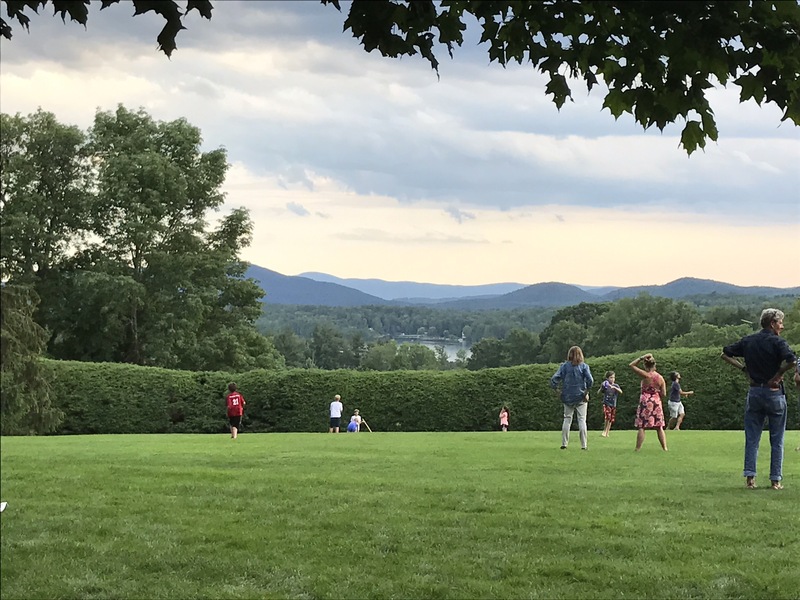 High school band friends used to discuss the Boston Symphony’s Tanglewood Institute, only a 90 minute straight-up Rt 7 trip for us. Despite this, I never was there. Mike and I met up with Dan K at his family home near Pittsfield to cross the state and go to a Red Sox game in ’86 (I think). 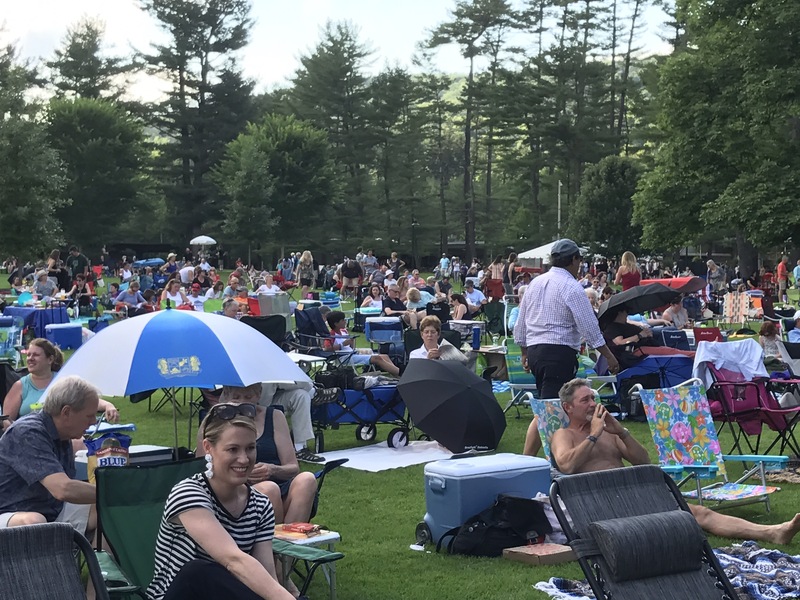 When you start out towards the MidWest, check out the schedule for Ravinia, which is the Chicago Symphony’s version of a summer festival in a similar- but slightly less picturesque- setting. And of course, at ORourkes, did you sing: Come, raise the song for Wesleyana, till night & echo send it back; Come, gather ’round the dear old banner, emblazoned with the Red & Black…O ivied walls! O storied halls! O shrine of long long ago etc etc…keep writing -love this! We are very interested in your world travels and hoping that you have a great experience. We are similarly a family of four (our girls will be starting 6th and 8th grades in the Fall) and are in the planning stages of our extended world trip which we hope to start in January 2018. You had asked for podcast suggestions; I haven’t listened to it but have heard good things about the podcast “Lore”.